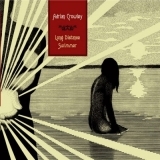 Long Distance Swimmer is ranked as the best album by Adrian Crowley. The tracks on this album have an average rating of 76 out of 100 (1 out of 12 tracks have been rated). Related links: top tracks by Adrian Crowleytop tracks of the 2000s, top tracks of 2007. Showing all 3 ratings for this album.